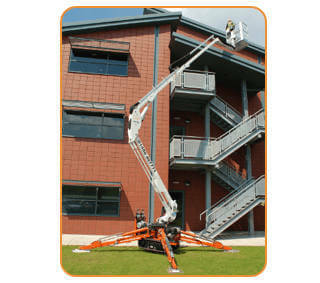 Easylift R-150 access hire – Call for our best prices. The Easylift R-150 is powered by Honda petrol engine / 220 volt mains. It also has as a standard Air and Water outlet in the basket and optional white non-marking tracks, as well as optional cable remote tracking and 25% Gradeability.